Does this pot and tree cobination work for you. I'd like to know what people think about this paring of pot and tree. Thanks. Happy New Year to all. Re: Does this pot and tree cobination work for you. I love the tree and the pot is awesome! But together not so much. 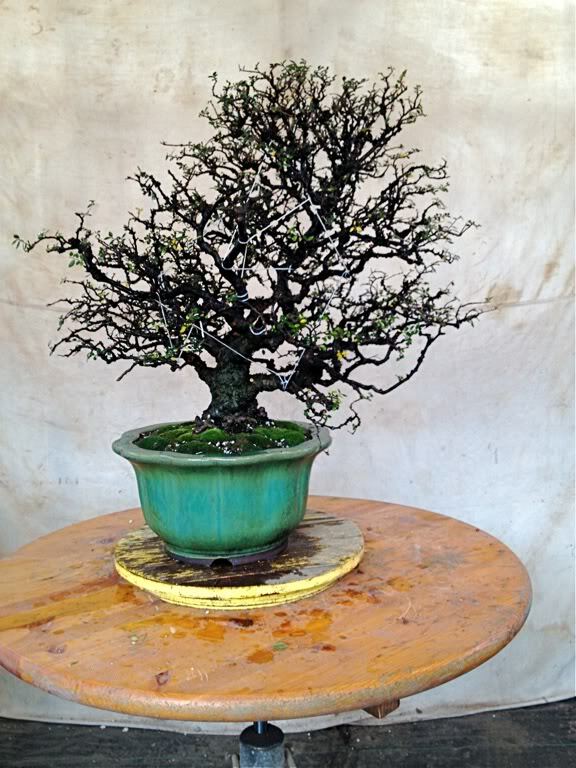 The pot is a great color but for me its more of semi cascade style tree. 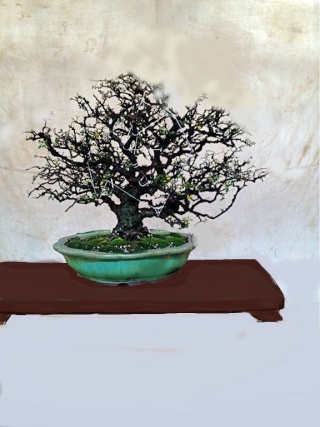 I think a pot of the same color and patina in a oval shape about the same depth of the trunk diameter , it needs to be as wide as the canopy, would be just right. IMHO there are many more here with more experence that probably will tell you different. If I had this pot I would probably use it. Thanks for the virt. Hell yes if had it I'd use it too! I have a camellia that would be perfect for it! Abcd where did you find it? It's a virtual of the original pot. The more I look at it though the less I like it. The tree doesn't seem stable to me in it. [quote="Bob Pressler"]It's a virtual of the original pot. I love the last virt. When I first saw this tree in this pot, I really liked it. The tree and the pot are both very nice. After reading comments here and elsewhere, I have decided I would prefer a different color and a more shallow pot. Knowing that you know far more than I do, I am hesitant to comment; but I think the color is too strong. This is a beautiful tree and the color is competing with the tree. I am attaching a color I would like better. In no way am I being critical of the pairing but am saying I would prefer a color and shape/size that do not compete with a special tree. I think the round pot works well with Sunip's virtual of the reduced tree. For the tree as it currently is though, I think a shallow, wider oval would work better. Something relatively plain. I wish I took better photos because the pot is much more subtle in person. The patina doesn't really show in the photo. 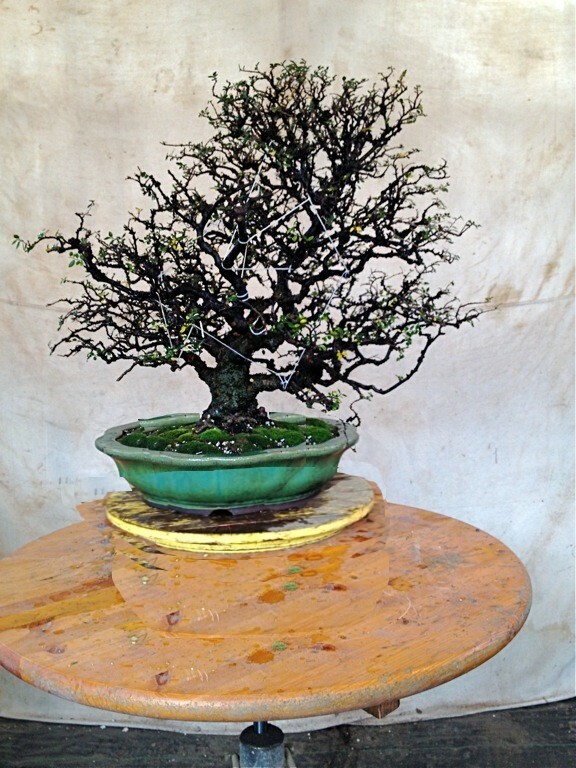 The shallow pot with the tree reduced is better but I like it this way better. I appreciate everyones input though. I'm going to live with it in this pot for a year or so and maybe I'll change my mind but I don't know from the first time I saw this tree I envisioned it in a pot like this.